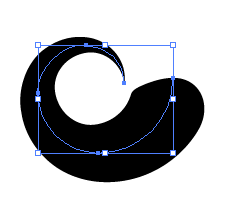 I'm brand new to Affinity Design and I'm having teething problems trying to do certain things I'm used to doing in Adobe Illustrator. For example the custom brush, or a brush that is thin in a point at one end only and responds to pen pressure. 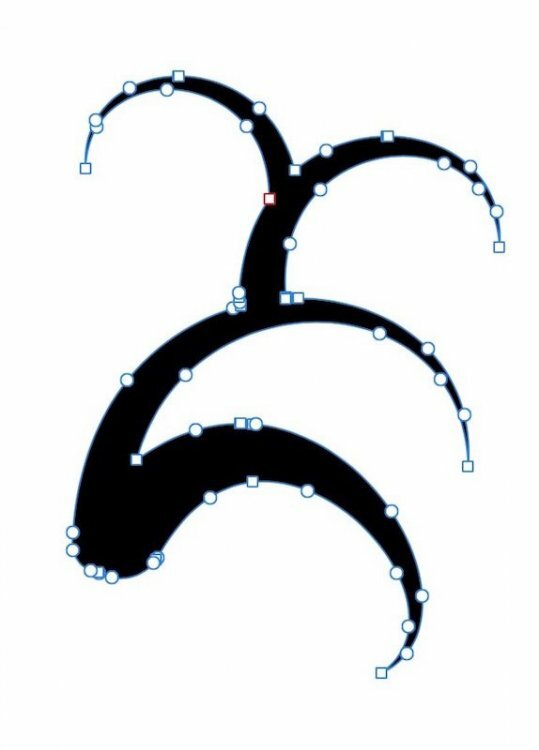 Also I used to be able to draw this out neatly with a line from the pen tool and then drag the brush from the menu of brushes to instantly change the pen line to this stroke effect. What's the best way to customise this type of brush? Another question while on topic, I already have some brush files suitable for illustrator but wont open in Affinity, is there anyway they can work or be converted to work? Affinity doesn't have the same brush making features as Illustrator. 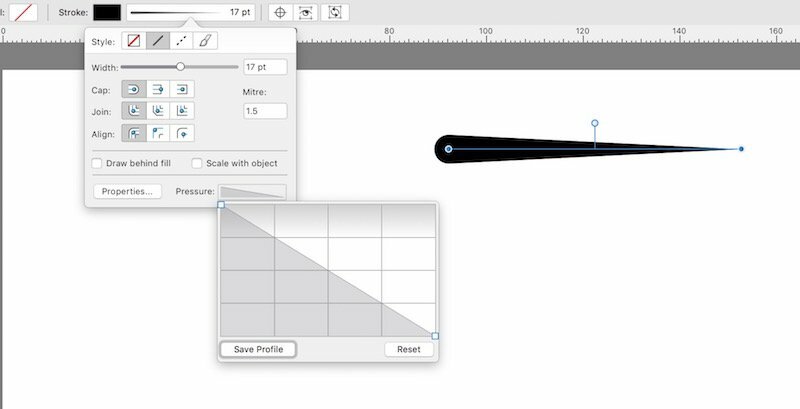 You can use the Pencil Tool to draw a line and with it selected and apply a different brush. On the Context Toolbar you can access the Stroke Panel, here you can manually adjust the pressure of the line, so you end up with a thick to thin line. If you're using a stylus I would advise setting the Controller to None as if it's set to Pressure the line width may vary and it might not be a smooth transition. Note, all styles are placed on a cog shape, which unfortunately is not well suited for representing line weights. The taper applied to various curves, set to different weights, and expanded into a vector shape. The 2nd way produces a different result. 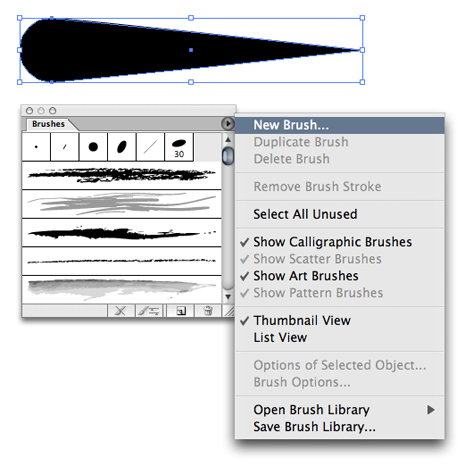 One can make a textured intensity brush that works w. the vector brush, pencil or pen. 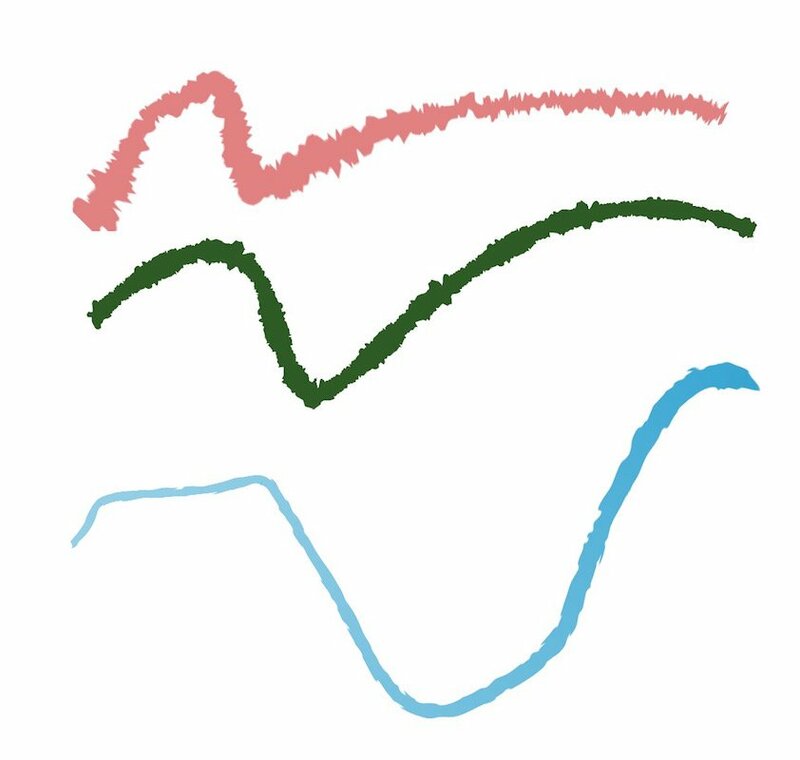 While the line form is a vector, the brush is a pixel image repeated or stretched along the vector, whose width and opacity, etc, can be varied by such things as stylus pressure or speed. The resulting shape remains modifiable along the vector, but is limited by the fineness of the bitmap. Thank you so much! Yes, this is is exactly what I needed. You can use the "Tear Tool" from the "Shapes" in the "Tool palette".